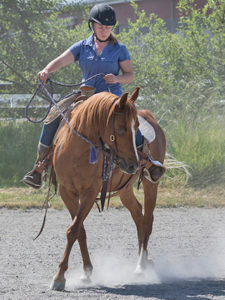 BUCKWHEAT is a 20–25 yo 15 hh gelding. Bay with a small star and a double snip. Right now he is a furry little guy in his winter coat. Buck is up to date on shots, worming, teeth and feet. He has some stiffness due to age and cold weather, but he is sound and quite energetic. His former owner rescued him from a kill buyer in 2006 and was surrendered by his owner in January of 2007 due to financial concerns. 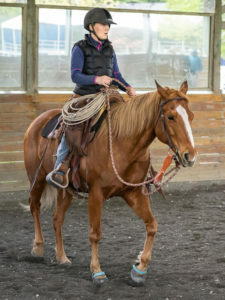 He is quiet and gentle, gets along well with other horses. A real cutie pie. We’re not sure what his breeding is, best guess is he’s Morgan or a Morgan cross. He’s got bulging eyes like a Morgan, a large head and a very square muzzle. And he has the tiniest ears! Very nice hooves, too. 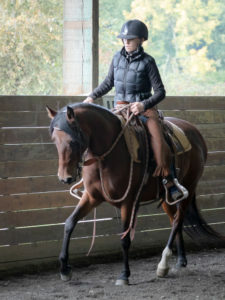 His former owner has ridden him and says he is a bit of a handful under saddle. She says he’s be a good leadline pony. Buck has nice manners on the ground, and trailered like a pro.